A Didcot customer is planning to complete a top-to-tail cycle ride of France with his father, in aid of Pancreatic Cancer Research. A Didcot accountancy firm owner is preparing to clock up the miles by completing a top-to-tail charity cycle ride of France with his father. Malcolm Ross of Brayshaws Accountants, based in our Didcot Enterprise Centre in Oxfordshire, is preparing to join his dad, Iain Ross, for an 840 mile cycle ride in May. 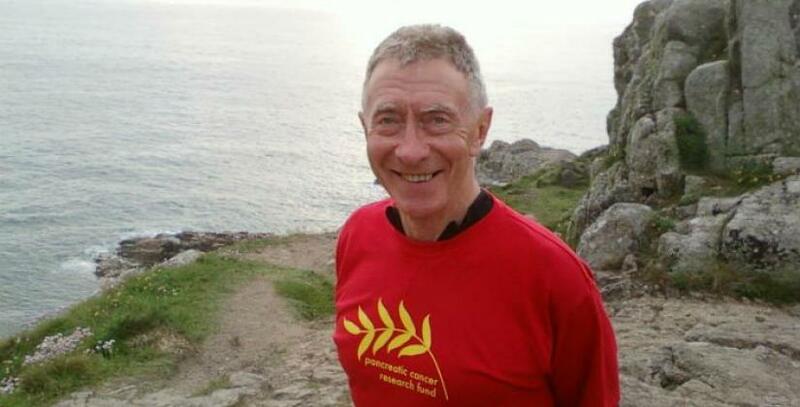 Starting in Calais and finishing in Rosas in Southern France, the pair will raise funds for Pancreatic Cancer Research, in memory of a close family friend, Charles Falconer, who lost his battle with the disease. Pancreatic Cancer Research is the only UK charity dedicated solely to beating pancreatic cancer through research. With just a 3% survival rate, more research is vital. Malcolm and his dad are hoping to raise awareness of the disease, as well as raise funds through an online donation page to help more people beat pancreatic cancer. Malcolm set up his own accountancy business back in 2004 and took over Brayshaws Accountants, where he had been a former employee. Malcolm explains: “The previous owner of Brayshaws Accountants was retiring and I wanted a new commercial premises to run the company from. As a small business, the rates of renting office space on the high street were far too high. That’s when I found Bizspace. The location of the Didcot Enterprise Centre was great, slightly away from the town centre but with good transport links and free car parking facilities. Now, Malcolm rents two business units - one is used a working office and the other as a reception and space to meet clients. Brayshaws Accountants’ clients consist of small sole traders, partnerships and limited companies. The company also offer support with personal tax returns. Malcolm currently has had to juggle running a successful business with training for the two-week cycle ride, which is less than a month away. Malcolm says: “I’m starting to get a bit nervous now as 7th May is fast approaching. I have cycled throughout my life as my dad has always been a keen cyclist and used to drag me along with him. “My dad is 75 but is fitter than I am! We have cycled from Lands End to John O’Groats before now and the route we have planned through France is relatively flat - we have tried our best to avoid the mountains. My dad often took us on holidays from Scotland to France by train and I think that was the inspiration behind this route. We wish Malcolm and his dad, Iain, all the very best with their impressive challenge. Soon our own North West team will be gearing up for the first ever ‘Bizspace Bike Tour’ in June. Based in Hawksworth, Oxfordshire, the Didcot Enterprise Centre offers businesses a range of units from offices to studios to workshops. The business centre has good transport links by road and rail, 24-hour access and free car parking facilities. If you own a small business, start-up or even a larger established company contact Lesley Tyler on 01235 510 904 to find out how Bizspace can help you.